Black Magic was originally a fan-made doujinshi put out in 1983, created by a mangaka and illustrator who many might recognize by name as the original creator of Ghost in the Shell, Appleseed, and Dominion. 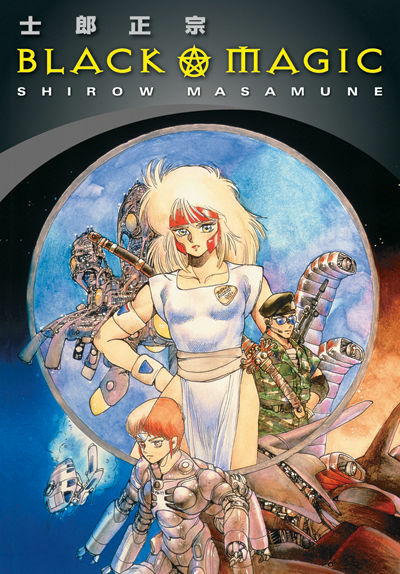 Yes, Masamune Shirow, known for creating heavy Science Fiction manga that have had successes as anime franchises like those mentioned before, originally started in the manga fan creation scene of the early eighties. Black Magic was the story that drew the attention of a publisher, so one could say that Black Magic was Shirow’s first break when it was officially released in 1985. In an undetermined time recorded, not in the past or the future, a human civilization on Venus creates a supercomputer called Nemesis to create a Utopia through government collected data. Once the Venusians were taken under Nemesis’ control, Nemesis creates a synthetic bioroid race called Executers that look like humanoid animals with long ears or even horns to serve it. After a chain of self-admitted super computers and bioroids, Venus is governed by a sort of representative of Nemesis named Zeus. Nemesis creates a bioroid named Duna Typhon, our main character, who after a confrontation with Zeus is recreated and then placed by Nemesis into the human section of Venus. There is a semi-setting synopsis, basically stated in one full paragraph in the beginning. So in a sense the story has not actually started. Duna Typhon and her magical powers that cause her to be called a sorcerer by those around her is actually less of a main character then a poster girl who Shirow uses so as not to turn Black Magic into a series of vignettes set in the same universe. When Typhon is not being used as a representative of the cozy bioroid species, the story switches over to what is going on with the human population; sinsyncly a chapter about a hijacked sub and then military grade robot soldiers called M66 (which became the main focus of the anime OVA Black Magic M-66) who are being terminated by military personnel constitutes much of Black Magic’s length. Since this is the first time that I have read anything by Masamune Shirow, I could not gauge to a degree how much jargon his characters spout. During that huge M66 chase sequence mentioned earlier, terms like “Delta One” and “HEAP Gun” are thrown around casually; there is a specific level of added attention to over-describe technology based objects, which a certain degree is fine, but a lot takes you out of the moment. Just in general, there is an overabundance of attention given to world building that takes focus away from the characters. What I find most interesting about the artwork demonstrated in Black Magic is the way shading is added. Characters clothes and natural shadows look to be created with hatch marks, but then in the next panel the style of background will change. Maybe because I decided to pay a little extra attention, but there are about four different variations of background, with many of them looking like they were added much later. I know that there is a shading process in manga that comes in the form of inking (Yoshihiro Tatsumi discusses certain techniques firsthand), but my theory is that before it was officially released in 1985, Black Magic looked a little bare. But this is just a theory. Pros: Explanations for certain science fiction elements are actually quite interesting. Certain mechanical and ship designs look really intricate and are pleasant to look upon. Reason I continue to bring up the M66 chase sequence is that it is the sole point in Black Magic that I found myself really enjoying myself. 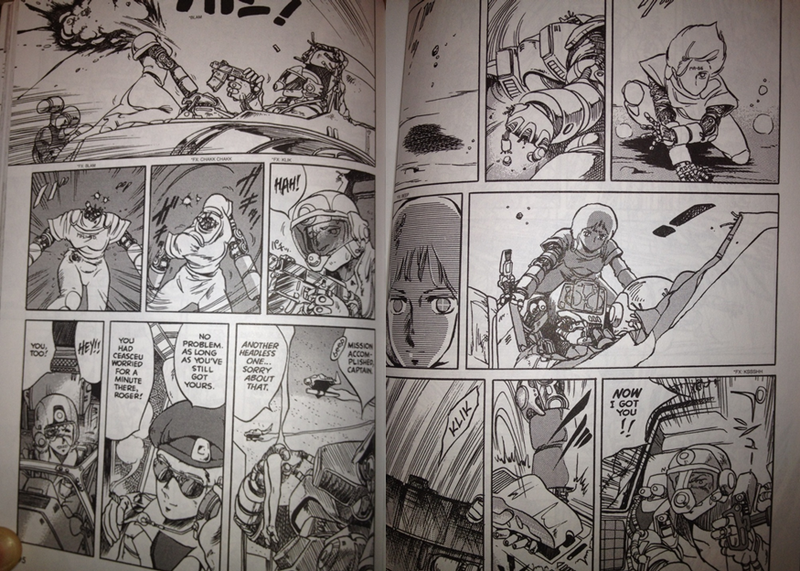 Cons: When it comes to manga, the editor has the ability to have huge amounts of influence in its creation. I feel that the unrestrained nature of Black Magic can be tied to Shirow not having an editor sit behind him asking him to tone dialog and elements back. Some humor is inappropriately placed before and after serious scenes, like when there will be a visual gag a page before someone is shot in the gut. Black Magic was released in full by Dark Horse, ambit with what seems to be an added fully discussed mechanical schematic of how a M66 could possibly work, so as to remind you that Shirow only thinks of machines. When you get down to it, Black Magic is full of plot points and some interesting ideas, but put them together you will have a mess on your hands. Shirow spends more time detailing powered suits then flushing out even his lead Typhon, and that left me feeling like something was missing from all of the technobabble and inopportune magic wielding. 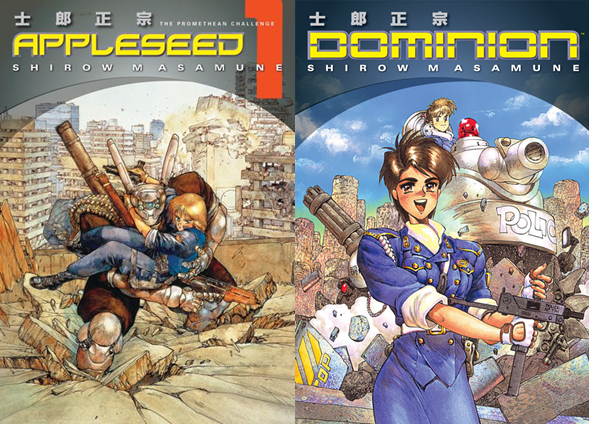 Masamune Shirow might be known for some of manga’s most recognizable Science Fiction, but I did not find that here.